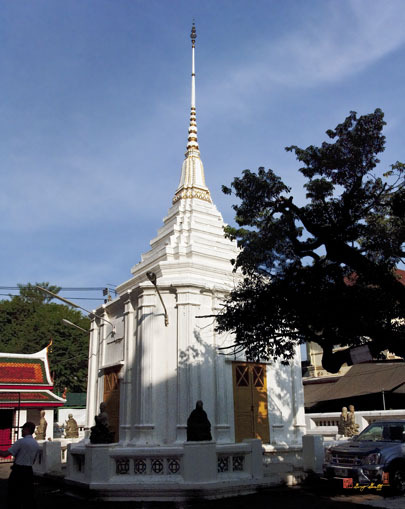 Wat Anongkharam Worawihan, วัดอนงคารามวรวิหาร, is a second grade royal temple of Worawihan. 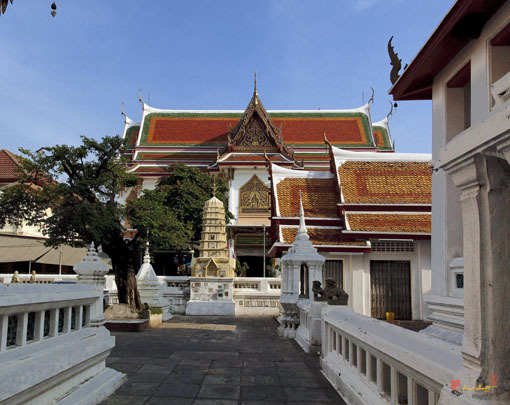 It was built during the early Rattanakosin period in 1850 (B.E. 2393) and dedicated to King Rama III. The temple was originally named Wat Noi Khamthaem after its founder Than Phuying Noi, wife of a noble, Somdet Chao Phraya Borommaha Phichaiyat (That Bunnag or Lord Bunnag) who is known as the person who restored the nearby Wat Phitchaya Yatikaram Worawihan and built the enormous prangs there. The temple was later renamed Wat Anongkharam by King Rama IV. 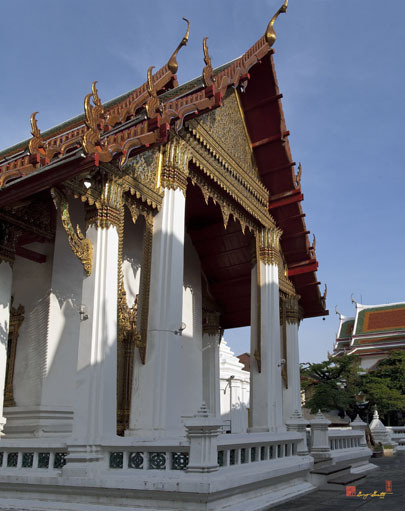 The Wihan (sermon hall) is built in the Thai style of the Rama I period. Inside there is a Sukhothai style principal Buddha image, Phra Chunlanak, of gold-leaf covered bronze in Subduing Mara (demon) posture. The image was brought from Sukhothai Province in 1949 (B.E. 2492). There are other important Buddha images in the temple compound. Clusters of monk's dwellings are decorated with beautiful wooden carvings. A collection of belongings of the revered monk Somdet Phra Phutthachan Phutthamahatherea (Nuam) is located in a monk's dwelling that is open for public visitation and homage-paying on Khao Phansa (Buddhist Lent Day, the beginning of the annual rainy-season monks' retreat) and on New Year's Day.